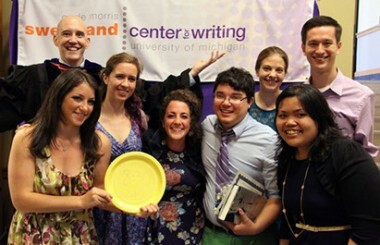 On U-M’s campus, according to the LSA Office of Student Academic Affairs, 112 cases of plagiarism in writing were reported from September 2009 to December 2010 (the most recent dates available), and plagiarism constituted the greatest proportion of reports of academic dishonesty (as compared to 51 reported instances of cheating on an exam during this period). Meanwhile, the Citation Project – a multi-university study of college students’ textual citation practices – reports that a majority of students avoid complex engagement with source materials in their writing, using brief quotations or paraphrases from the first page or two of a source text to “back up” an already formulated idea, rather than engaging source content as a means of deepening their own thinking about a topic or entering a scholarly conversation. Stemming from an inadequate understanding of the source materials themselves and inadequate instruction in good source selection and ways of integrating longer source excerpts into writing, in worst-case scenarios students’ lack of knowledge about the use of sources can lead them to engage in patch-writing (paraphrase that relies too closely on the source text) or even plagiarism in the form of unattributed quotations and concepts. For their part, faculty, too, are often unaware of their students’ lack of understanding of citation and source integration practices, as well as effective methods for teaching these strategies. As a result, faculty tend to respond primarily when things go wrong – when they suspect student plagiarism, for instance – leading to fears of unchecked academic dishonesty and a “law and order” approach to student error with sources. By focusing on catching plagiarism and enforcing penalties, as opposed to drawing on long-term pedagogical strategies to teach students how to incorporate other voices into their own writing, this approach runs counter to much current research about student writing development that understands patterns such as patch-writing to represent students’ attempts to master unfamiliar discourses and synthesize them in their own writing. This research distinguishes between deliberate and unintentional plagiarism, and proposes treating the latter as a pedagogical opportunity rather than an occasion for punishment, as in this Statement on Best Practices from the Council of Writing Program Administrators. 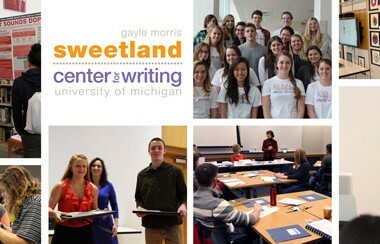 As a means to help address these problems on the U-M campus – and to raise awareness of patterns in student writing development – Sweetland and the University Library began a collaboration last spring to create customizable lesson plans that faculty could incorporate into their courses as well as instructional resources for teaching academic integrity and the complex, responsible use of research sources. Titled Beyond Plagiarism: Best Practices for the Responsible Use of Sources, and funded by a New Initiatives/New Infrastructures grant from LSA Instructional Support Services, this project began development in WordPress and CTools over the summer with a team of graduate students from English, American Culture, and the School of Information; technical support from MLibrary instructional technology; and faculty and librarians from Sweetland and the Library. We recently did usability testing with several undergraduate students on the first completed module and accompanying CTools practice quiz focused on working with primary and secondary sources, and we debuted some of our materials in a series of 34 workshops the LSA Student Honor Council ran in October for all students enrolled in the First-Year Writing Requirement classes English 124 and 125. The website, currently in beta form, will be ready for use in your courses soon. Stay tuned!